What Abraham Really Purchased for 400 Shekels. Apropos to our last post about the dissemination of the light and the Jewish souls from 1-3-70-600,000 as presented repeatedly in the Torah, a recent comment on the DailyZohar regarding Chayeh Sarah made a wonderful connection between the 600,000 Jewish souls and Abraham’s purchase of the cave at Machpelah. A square cubit is the size of the roof hole at the top of Noah’s Ark and the size of the two tablets that the 10 Commandments were engraved in. It’s also enough space for a man to stand comfortably in, meaning Abraham purchased a plot of land that provides an individual “space” for each of the 600,000 souls of Israel. When using the Holy Cubit that the Future Holy Temple is designed with, it works out to a plot of land exactly .37 square miles. Now, it’s said by the sages that every Jew has a letter in the Torah and that there are 600,000 letters in the Torah. We’ve previously shown that there are exactly 600,000 – 408 component letters in the Torah, when each letter is broken down into the component letters that comprise it. Interestingly, there are a total of 50 component letters, as in the value of one field, with 50 always being a connection to the upper sefira of Binah. And since the Torah is a hologram of G-d Name, his Unity, the entire Torah is included in every letter of it, we see by the Torah references to a cubit square that if all the hope of humanity (the opening in the ark) and the entire Torah (10 Commandments) can fit in that 1 square cubit space, and that we have a place reserved for ourselves in Israel thanks to Abraham, we each have the hope of the generation and entire Torah within us. And waiting for us. The question always arises as to why 408, and we can’t know for certain. We do know, as the Zohar explains that it has to do with the coded Hebrew word “Zot” of numerical value 408, which refers to the time of the final redemption. We also know that if the missing letters were all Vavs of numerical value 6, then the 408 letters would equal 2448, as in the year the Torah was received at Sinai. Nevertheless, Abraham purchased the cave/field from the sons of Chet (Hittites), whose numerical value is 408. And he purchased the field of 8 kur for 400 shekels for our 8 illustrious forefathers who would be buried there: Adam, Eve, Abraham, Sarah, Isaac, Rivka, Jacob and Leah. Either way, kabbalistically we can construe that as 400+8 = 408. Abraham was securing a place for us, where we could all one day join together again as one, and he made sure he’d be waiting there for us. Let’s make sure the Cave of Machpelah and the surrounding 600,000 square cubits (27.5″ x 27.5″) stay in Israel. It’s our patrimony and our future. Author Jeffrey MeilikenPosted on November 3, 2010 Categories RevelationsTags 10 commandments, 37, 400 shekels, 408, 50, 600000, 600000 letters, abraham, ark, Chayeh Sarah, final redemption, geula, machpelah, noach, noah, Sarah, souls, Torah2 Comments on What Abraham Really Purchased for 400 Shekels. Time, Times, and half a Time. There is a Biblical mystery that has intrigued man for over 2000 years, and another deeper mystery that has perplexed him even longer. The first is what Daniel meant by “Time, times, and half a time,” in his revelations about the end of days. And the second is what is Time? The mysterious verse in Daniel 12:7 connected to the end of days, “Time, times, and half a time,” is connected to the verse Genesis 23:1 from Chayeh Sarah, whose connection to the end of days has already been discussed in depth in our post Sarah Lives, and Who else? where we are told that Sarah lived for 127 years. Besides the obvious 127 connection, in the Chayeh Sarah verse we also have the curious wording Shanah, shanah, Shan’im or year, year, and years, similar in structure to Time, times, and half a time, especially since Shanah can be regarded as time as well. But to better understand this, we need to go to a place before time, where the primordial letter alef exists before the physical universe took shape. In that place/empty space before Creation and before the Torah the 3 Mother came into existence. But first among them was the alef. Alef typically has the numerical value of 1 and is spelled, ELP, which has the numerical value of 111. But ELP can also be the word elef, or one thousand (1000). Now, if we substitute, as the Arizal did, the value 1000 for the value 1, the value of alef spelled out become 1110, which is 10 x 111, or Alef expanded to cover all 10 sefira/dimensions. But what is odd, is that Shanah, shanah, Shan’im also has the numerical value of 1110, and thus is spiritually connected to primordial time, to the beginning before Creation. There are many different gematria bible code ciphers the Ari used, but another extremely common one is to use the sofit, or 5 final letter values in the words that have these final letters. And when we do, the expanded Alef (ELP) from becomes 1000 + 30 + 800 = 1830. And when we add the 3 for the kolel of the 3 letters, we get 1833, which is the value of the first 21 letters of the Shem mem-bet, the 42-Letter Name through the midpoint in the 42 letters, and at the location of the secret fountain/well of living waters that we’ve discussed in other posts. And likewise previously discussed it’s in the center of where the Brit (covenant) of Mashiach is spelled out. But speaking of 42, it is the value of IMA, Mother, spelled EME, which the kabbalists tells us is really referring to the energy level/Sefira/dimension called Binah. And when we use both versions of the expanded alef, IMA, spelled EME, has the value of 1830 + 640 + 1110 = 3580, or 10 x 358, the value of Mashiach, the Messiah in all 10 sefirot/dimensions. The word Emet, truth, is graphically synonymous with the 42-Letter Name of G-d in that the words emet (EMT) has the numerical value of 441, which is 21 squared and we know from chazal, that Emet represents the two Ehyeh’s (EHYH) each of value 21, combined in the Name, “Eyheh Asher Ehyeh” (I Am that I Am), the source of the lower 42-Letter Name. Moreover, just like the word Emet (EMT) the first letter of the 42-Letter Name (Ana B’koach) is Alef (E) and the last is Tav (T) and there are 40 (M) letters in between. And when we spell out Emet (EMT) using the expanded Alef and add 8 for the kolel of the 8 letters, we get 1830 + 640 + 412 +8 = 2890, which when we double it for the two emets (truths) less the kolel of 2 for doubling, we get (2890 x 2) – 2 = 5778, the year prophesy says Mashiach will come. 21squared + 21 squared + 21 = (21×21) + (21×21) + 21 = 903, which is the sum of all the integers from 1 – 42, in other words, the spiritually complete 42. Now, the 21squared in Emet is (Ehyeh x Ehyeh) or (EHYH X EHYH) and when we use the spelled out version of Ehyeh, we get ELP HY YVD HY which breaks down to Alef (ELP) and (HY YVD HY) of value 50, representing the 50 gates of Binah (understanding) that we will reach in the time of Moshiach. But the full 10 letters equal 1830 + 50 + 10 = 1890, to which if we were to add the cryptic 127 years of Sarah’s life (from Genesis 23:1) or the digits 127 from Daniel 12:7, we’d get 1890 + 127 = 2017 CE, the year the Mashiach (Binah) consciousness is supposed to begin (5778, actually 5777.78). In case we were to that that a coincidence, the sum of the 2 Ehyehs is exactly 1880 x 2 = 3760 HC, which is the pivotal year “0” in the Gregorian calendar. 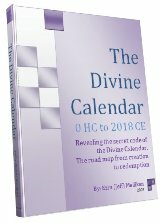 Now, we can understand why Ehyeh, a higher Name of G-d is called “half a Time.” And we can understand how the 42-Letter Name created by the 2 Ehyeh or twice half-time, can control our perception of reality to bring us what seems like miracles into our reality, as explained in The Genesis Prayer. And seeing as Time controls distance, now we can also understand why all Torah journeys are governed by the Mem-Bet (42-Letter name). What does Time have to do with the Messiah? Time is a journey and at the end of the journey is the Light, the Messiah. The Bible makes that clear. If we add the 231, as in the 231 Gates of Wisdom described in Abraham’s Sefer Yetzirah, and which corresponds to Genesis 23:1, to the 127 from Daniel 12:7, we’d get 231 + 127 = 358, Mashiach. Now, the Hebrew for “Time, Times, and half a Time” (LMVAD MVATYM VChZY) reveals even more. The first 3 letters have the numerical value of 76, as does the first letter of each of the 3 words. And we know from the Arizal, that 76 is the numerical value of the highest aspect of Chochma (Av) of the Tetragrammton (YVD HY VYV HY) including 4 for the YHVH). But even more significant is that the rest of the letters add up to 358, Mashiach. And if we take off the 10 for the 10 letters in the Tetragrammaton (Av): (YVD HY VYV HY), or alternatively, for the final yud (Y) in “half (VChetzi)” we get a total of 424 for the phrase, which is the value of Mashiach Ben David. And the final letters in the verse (DMY), which we know from chazal project the future, add up to 54, which connects to both the letters of the month (nun and dalet) of Scorpio, according to Abraham’s Sefer Yetzirah, from which we’ve been told by the Zohar that Mashiach Ben David will come, and to the year 5778 HC because 107 is the sum of all the positive integers through 5778 and 5778/107 = 54. So what good is knowing all this? Before we traveled in spiritual darkness. Now we know what can illuminate our journey and speed our way through time and toward Mashiach. And if you still have doubts about time, know this: the Hebrew word for time used in Daniel 12:7 is Mo’ed (MVAD), whose value is 120 and whose ordinal value is 39 and thus time’s complete value is 120 + 39 = 159, the small gematria value of the Upper 42-Letter Name of G-d.
Take your time and digest this, but don’t take forever; there are only 9 years until 5778. 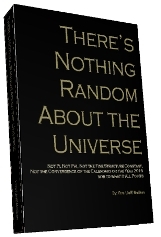 Author Jeffrey MeilikenPosted on December 9, 2008 January 4, 2009 Categories RevelationsTags 0 CE, 107, 127, 2017 CE, 231, 358, 3760, 4, 42-letter name, 424, 5778, abraham, alef, Ana B'Koach, arizal, Bible, Bible codes, binah, brit, Chayeh Sarah, ciper, cipher, covenant, Creation, Daniel, Daniel 12:7, dimensions, Ehyeh, emet, final letters, gates of wisdom, gematria, Genesis, Mashiach, Mashiach Ben david, Mem-bet, miracles, Moshiach, prayer, prophesy, Sarah, scorpio, Sefer Yetzirah, sefirot, spiritually, Tetragrammaton, The genesis prayer, truth, zoharLeave a comment on Time, Times, and half a Time.